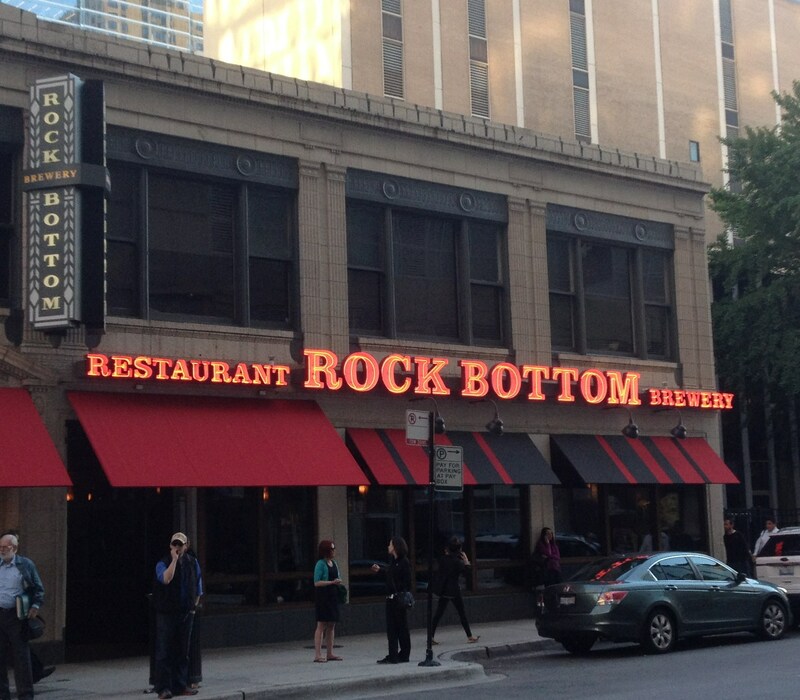 Rock Bottom isn’t the sort of place that you come to when you reach that place in your life, no it is the sort of place you come too when you want a good beer and a nice safe plate of bar food. 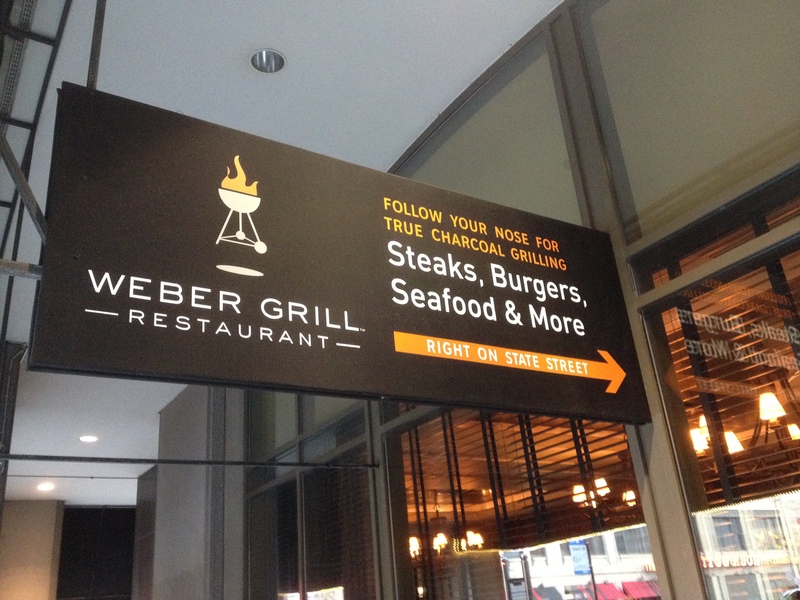 I try not to just get a burger, even though they are quite decent, as that is just too safe and easy. Even though the 2am Burger which is a all day breakfast type variant topped with ‘hash-browns, American cheese, smoked bacon and a sunshiny fried egg’ is always very tempting. I always seem to end up having one of their sandwiches either the Hickory Bacon Chicken sandwich which is basically “Grilled chicken topped with bacon, cheddar and bbq sauce, served on a soft burger bun.” or the Reuben Sandwich which is “Corned beef or turkey served on caraway rye with Swiss cheese, Russian dressing and sauerkraut.”, although to be honest I usually end up pulling most of the sauerkraut out. I also love that they do more than one type of Mac n Cheese, apart from the Classic, you can also have a Bacon, Chicken Mac ‘n’ Cheese, and a Blackened Shrimp Mac ‘n’ Cheese. Too tempting by half! The other bonus about this place, and probably the reason I first walked in, is the good beer selection especially some of their craft beers. They do a type of kolsch, which is always a good choice. They describe it on the menu as being ‘golden, straw-colored ale is light in body with subtle fruit flavors and a crisp, floral hop finish.’ They also have the sport on the TV so you don’t have to worry about coming in on your own. The one warning is that if you come in through the wrong door, then you end up being in the front restaurant which is a bit fancier, with white tablecloths etc. The first time I walked in, I nearly walked out again, until they directed me to the back room where the bar is. On the other side of the road on the corner is the Weber Grill, this is a place I prefer to eat at on a free downtown lunchtime. It is better in the summer when you can sit comfortably out in the sidewalk covered seating area. I do like to sit inside where you can see the chefs grilling away especially for the smelt of charred meat, but it gets a bit warm in there. They do a good special at lunchtime usually there is a variation of one of their house made burgers, the kettleburger. If they don’t have one that tickles my fancy then it would be the Wisconsin Burger which is topped with De Mill Cheddar Cheese, and Applewood Smokehouse Bacon, so basically a bacon cheese burger for $13.50. 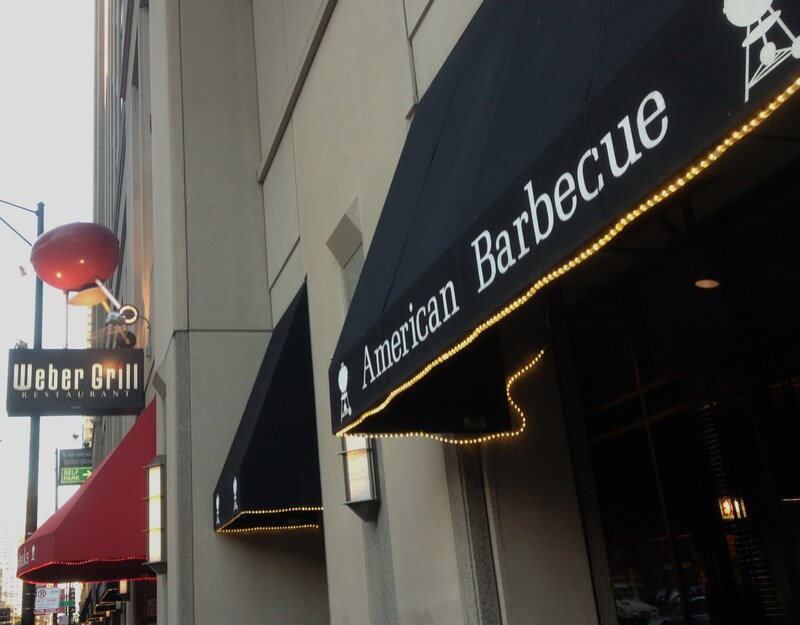 If it wasn’t a burger then the other good thing I ate here was off the $10 lunch menu which is The “Smokey Joe” a bun filled with Brisket Burnt Ends, and their own Hickory BBQ Sauce. 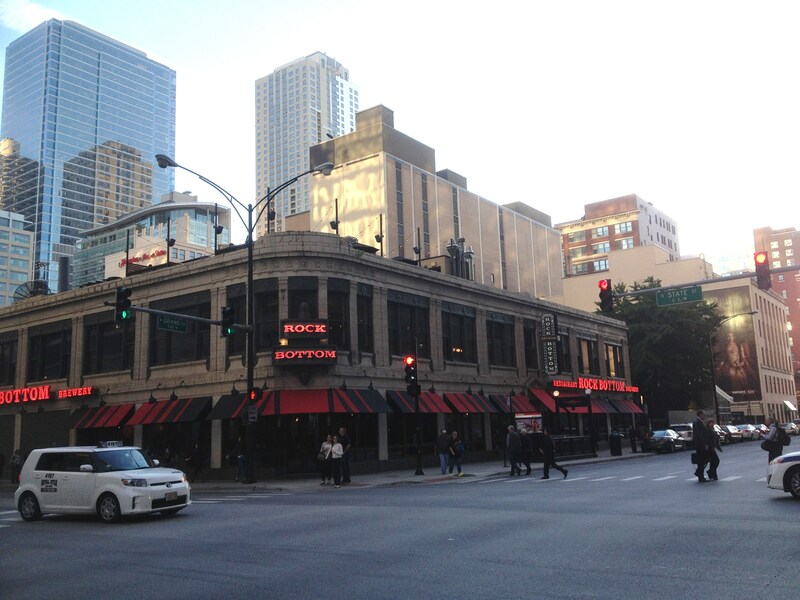 Both the Weber Grill and the Rock Bottom brewery are on the corners of Grand and State as you emerge from the underground red line Grand CTA station.